Demelza Jones (left) and Shirin Demirdag (right). Photo courtesy of Demelza Jones. 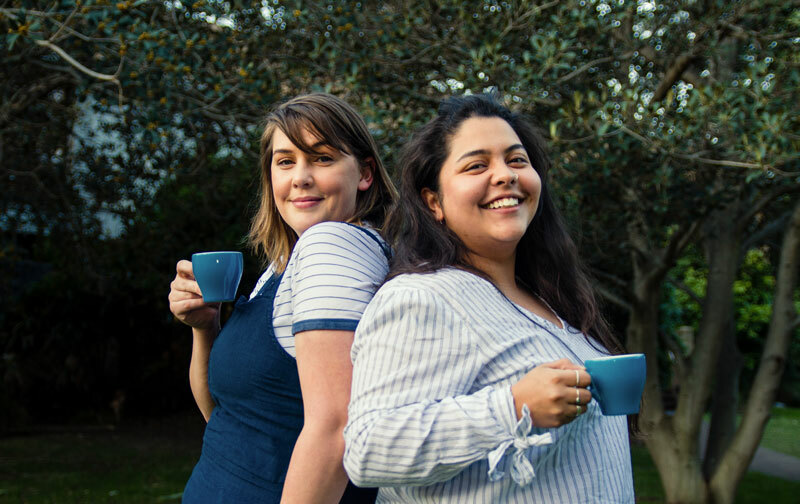 Launching this October, SAME CUP is an Australian first: a new organization that strives to improve the success, empowerment, and visibility of women and the LGBTQI+ folk in the Australian specialty coffee scene. Spearheaded by Demelza Jones, account manager for Five Senses Coffee’s New South Wales team, SAME CUP will encompass events, competitions, spaces, and parties that inspire success through networking, education, and personal development. 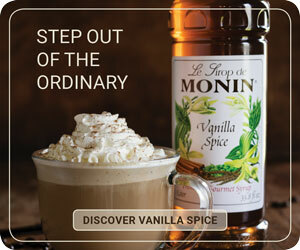 Before working at Five Senses, Jones was running a takeaway coffee shop on a university campus for three years. But after getting pregnant, it was too hard to keep up the long days and manual labor. 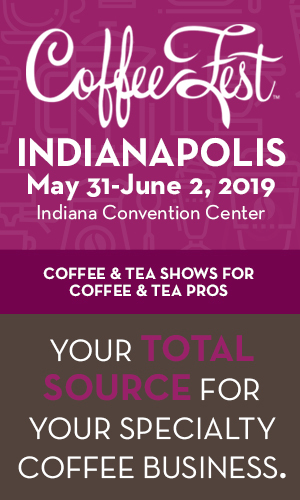 The idea for SAME CUP started brewing while Jones was listening to an episode of the podcast Boss Barista featuring Molly Flynn, founder of the #coffeetoo movement. “Listening to her story made me think about things that have happened to me in my career and then I just thought, well sh*t, she can do this and she’s got so much support, so that was a giant motivation for me,” Jones explains. 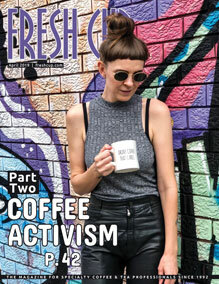 Shortly after, Christine Cottrell, a coffee veteran and organizer of women in coffee initiatives across Australia, asked Jones to take over the NSW State for women in coffee events. Then, Jones attended Barista Connect, a networking event run by women in the coffee industry. Quickly, Jones began to receive a reply after reply from men and women asking what they could do to help. Jones said she had about 30 to 40 women and men, coming back to her within a week, with many offering spaces or volunteering their services. One of the women who wrote back was Shirin Demirdag, a good friend of Jones’ and someone she had previously trained to make coffee. Over the last three months, discussions about what SAME CUP should stand for have continued to change, with Jones explaining that she’s open to having conversations to figure out what people want out of the organization. “I know many dudes who fit my target and want to help, and I didn’t want to exclude those people,” says Jones. “So after a lot of thinking I decided to open up the events to everyone.” Despite this decision, Jones emphasizes the fact that the main focus remains on ensuring women and queer folk feel represented and heard. Demelza and Shirin. Photo courtesy of Demelza Jones. Besides launching SAME CUP, Jones has a few other projects down the pipeline. In February 2019, just before Melbourne International Coffee Expo (MICE) kicks off, Jones is organizing the first Cherry Roast Australia competition, with full support from influential individuals, such as Chocolate Barista blogger and activist Michelle Johnson, and businesses, including Five Senses Coffee Roasters. Cherry Roast Australia was inspired by the annual Denver, Colorado-based coffee competition, Cherry Roast designed for women, genderqueer, and gender nonconforming baristas, founded by Amethyst Coffee owner Elle Jensen. 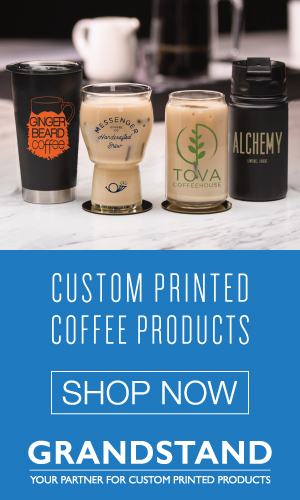 And she isn’t stopping there: Jones has a 10-year plan to ensure continuous visibility, equality, and awareness by creating a SAME CUP certification so that cafés, corporations, competitions, and events are held accountable on how they run their businesses. “These organizations can then buy the certification to show they have achieved or are striving towards inclusivity and diversity in their work culture,” she says.